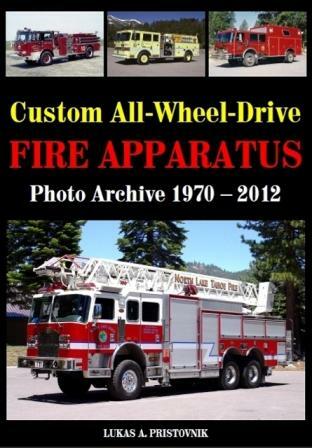 This book provides a photographic overview of nearly every piece of North American custom chassised fire apparatus equipped with all-wheel-drive since 1970. Only a handful fire apparatus are built with these specifications each year making them not only very interesting, but also somewhat rare pieces of equipment. Apparatus can be found from East to West, in mountainous areas, rural communities, even large city departments as well as airports. They feature a broad range of pumpers, ladders and quints as well as tankers and heavy rescue trucks, all featuring unique four or six-wheel-drive configurations. This collection of more than 270 color photographs includes technical data of each featured rig. Photos from manufacturers such Pierce, Seagrave, KME, Spartan and many others, will give you a closer look at these unique pieces of fire apparatus, which are not found in many fire stations. Neither rain, snow, hilly terrain nor unpaved roads will stop these wonderful machines from responding to an emergency!